Want to learn how to buy a house for your grown child? Being able to help your grown kids become homeowners can really give them a leg up—particularly in this pricey housing market. “Between rising home prices and millennial student loan debt, many young adults don't have money to buy a house," says Todd Sheinin, mortgage lender and chief operating officer at New America Financial in Gaithersburg, MD. "That's where parents can help out." Indeed, 41% of college-educated Americans with student loans report having postponed buying a home because of their debt, according to a recent survey by Student Loan Hero, a service that helps people pay off their student debt more efficiently. According to a recent home buyer survey from ValueInsured, 17% of millennial home buyers say they plan to rely on a loan or a gift from a family member to fund the majority of their down payment. That relative is usually a parent. But make no mistake, buying a house for your adult child isn't as straightforward as, say, buying them a puppy when they were 8. 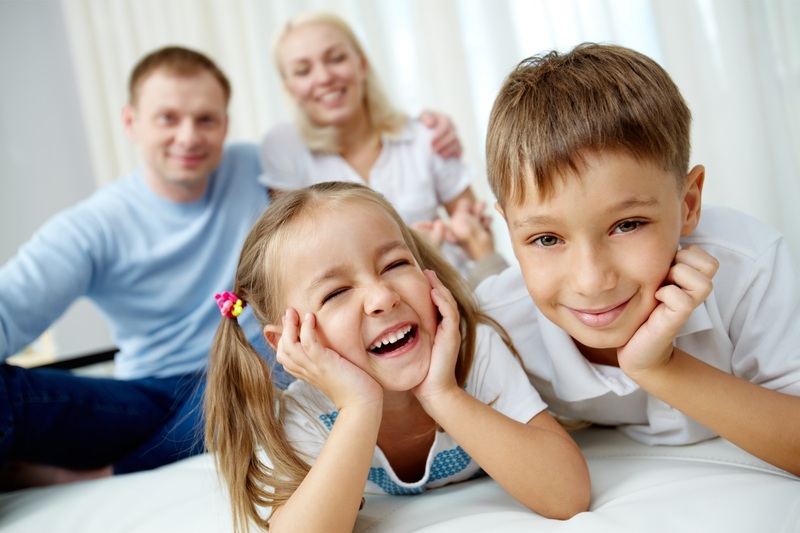 Purchasing a house for your kid requires careful planning. Here's what you need to know, and your options on how to get this done. When you contribute funds to your child's down payment for a mortgage, the money can be classified as either a loan or a gift. This decision has major tax implications, Sheinin says. If you provide the cash as a loan, your kid (or you) will have to pay taxes on it. Gift money, however, can be transferred tax-free up to a certain limit. For 2018, any gift of $15,000 or higher will incur taxes, up from $14,000 in 2017. For couples, however, that means each person can gift $15,000 to their child tax-free, for a total of $30,000. Note: If you gift the down payment, your child’s mortgage lender will require proof showing that the money is indeed a gift. This must come in the form of a gift letter, where you swear on paper that you don’t plan on asking for the money back. However, that letter might be insufficient for your child’s mortgage lender. In many cases, you’ll have to provide a paper trail verifying where the money is coming from, says Casey Fleming, mortgage adviser and author of "The Loan Guide: How to Get the Best Possible Mortgage." Most lenders will require two months of statements from your bank account, including all pages from each statement. If you can afford it, you have the option of buying a home solely in your name and renting it out to your child; in fact, this may be your only option if your kid can’t qualify for a mortgage. Fortunately, property taxes, mortgage interest, repairs, maintenance, and structural improvements are generally deductible on a second home. The caveat? Your kid must pay you rent in order for you to qualify for these tax deductions, says St. Petersburg, FL, real estate agent Lisa Cahill, a certified public accountant and former tax manager. If you let your child live in the house for free, you’ll receive none of those write-offs. The third approach is to purchase a home and co-own it with your child. In this case you'd be purchasing the home and dividing the equity in whatever percentage you choose, and when the house is sold, you’d get your share of the money back. This is a good arrangement if you eventually plan to sell your portion of the house to your kid, says Michele Lerner, author of “Homebuying: Tough Times, First Time, Any Time." However, not all mortgage lenders offer home loans for shared ownership, so you may have to shop around if you choose this financing option. Another drawback: If your kid can't pay the mortgage, you're on the hook for it. Before you help your kid buy a home, determine what your level of involvement will be. Do you want to be part of the search process by attending showings or open houses? Are you going to let your child ultimately pick the property, or do you want to have final approval? Do you want to be involved with writing the offer or handling negotiations? These are all good questions to ask yourself. Helping your child buy a house is a big decision—and you probably don’t want to put yourself in the position where you’re also paying the monthly homeownership costs. After all, being a homeowner doesn’t just mean paying off your mortgage—it also means paying for maintenance, repairs, renovations, redecorating, and utilities. The take-home lesson: Make sure your child has a steady source of income before buying her a house! Even if your golden years are decades away, buying a home for your child could negatively affect your retirement plans if you have to dip into your retirement accounts. For instance: If you withdraw money from an IRA or 401(k) before age 59½, you’ll get slapped with a 10% excise tax on the amount you withdraw, on top of the regular income tax you pay on withdrawals from traditional defined contribution plans. Making early withdrawals also prevents the money from accruing interest in these accounts, so you’d be setting yourself back significantly in the future. The bottom line: You need to consider all the factors that go into buying a house for your child before opening up your wallet.